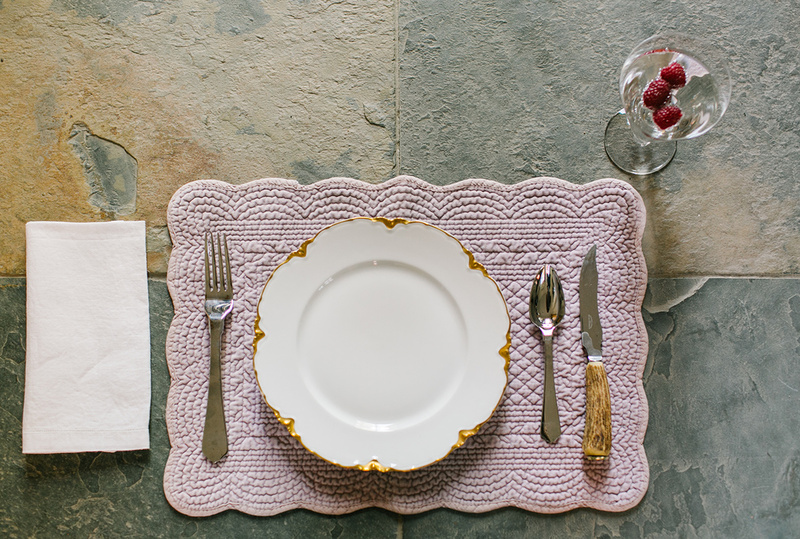 You have arrived at “The Table” – the cornerstone of wellness. Oh but this isn’t just any table. This is a table graced by the presence of gorgeous women across the country who [like you and I] crave more joy, self-care, confidence and ANSWERS to their most pressing nutrition + questions. 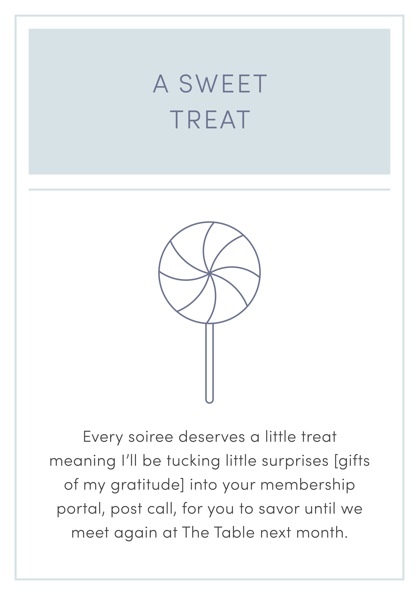 You are receiving this invite as a special token of my gratitude for being a founding member of Simply Nourished and now of The Table. Only a select group of VIP women are being sent this initial reservation opening due to your loyal readership and commitment to the Simply Nourished lifestyle. 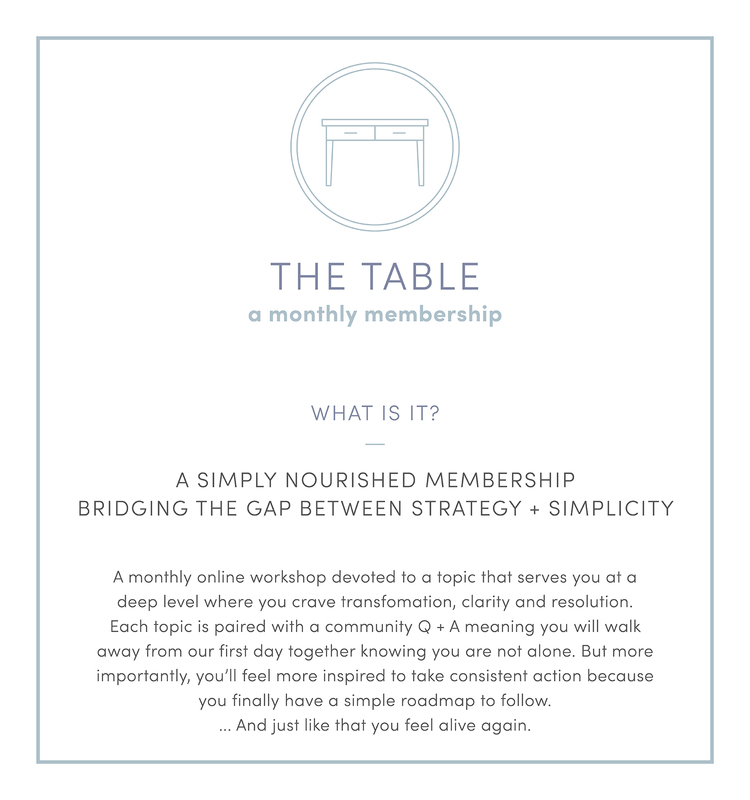 The Table is a monthly membership — giving you inspiration, tools and a targeted action plan to bring your wellness goals, energy, clarity and self care to fruition with consistency. Simply Nourished is designed for women just like you who wholeheartedly believe that food is a form of medicine [and the kitchen therefore is powerful “dispensary”]. The table? Well it strikes the perfect balance of medicine and community as we meet to indulge in the functional food it holds. Whether you are new to Simply Nourished, or you have been through our foundational program and maybe even worked with us in 1:1 mentorship, you are right where you need to be… at our virtual table. Why? Because the evolution of this “table” is spurred by my heartfelt longing to welcome you into my “kitchen” to not only share transformational advice on topics of wellness but also I selfishly want to opportunity to hear your questions and lean into your desires. It’s when you feel seen and heard that you experience that cell to soul nourishment. As tender buds peek up through the soil and the Earth comes back to live after the dark dormancy of winter, it’s natural to feel that deep nudge to slough off winters stagnancy and harness the energy of the Earth by pursuing some gentle cleansing. 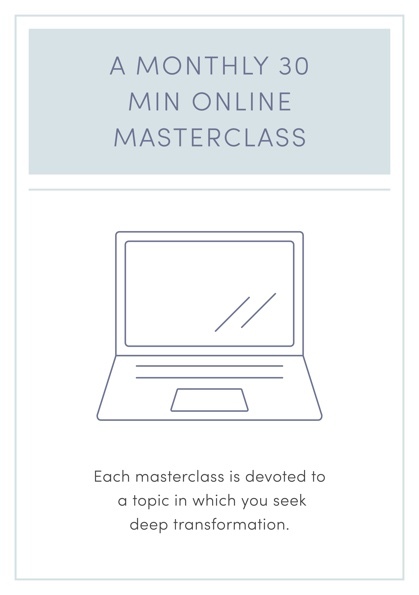 First I’ll divulge how to eliminate toxins [both environmentally and internally]. And then I will teach you how to incorporate the most cleansing nutrients the seasonal foods have to offer into our daily lives. You will walk away from our time together with a newfound sense of inspiration and the tools you need to experience the intoxicating vibrance of spring. And that’s just the beginning. Each workshop is accompanied by time to ask your questions and receive the answers that bring you back to life from cell to soul. 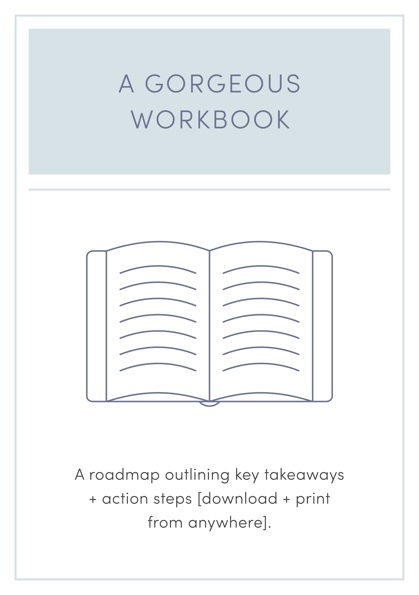 After each and every workshop you’ll be sent the recording as well as the gorgeous roadmap and gifts via private portal. 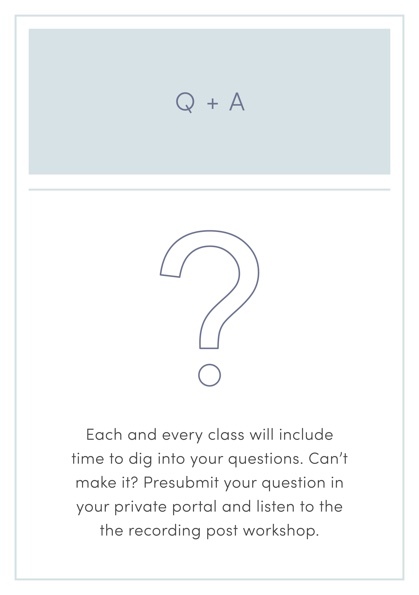 You will be prompted to ask your questions before each workshop so whether you can join or not your questions will be answered. 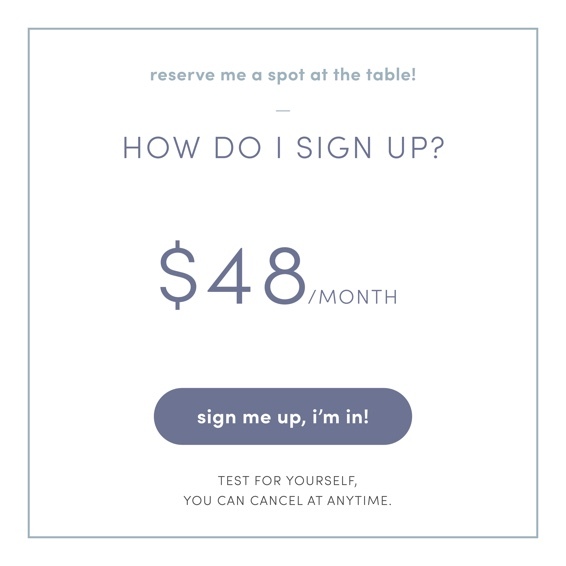 The membership to The Table is a $48 monthly subscription that has absolutely no contract or cancellation fee. Come and go as you please!